You could be breaking the road rules without knowing it! We’ve got a list of the most misunderstood road rules to help you avoid unexpected fines and demerit points. There is a common misconception that when you’re about to enter a roundabout, you must give way to vehicles on your right. However, the road rules state that you only need to give way to vehicles already in the roundabout. Some cars may not slow down when approaching a roundabout so you should enter a roundabout with caution to avoid any crashes. For more info about approaching roundabouts, click here. You must turn off your high beams when you’re driving within 200 metres of the car in front of you or an oncoming vehicle. High beams can make it hard for other vehicles to see the road and any potential hazards. You can’t make a U-Turn at a traffic light unless there’s a “U-Turn Permitted” sign displayed. You must have a clear view of oncoming traffic and give way to all vehicles and pedestrians. Find out more about U-Turns. The use of all hand held mobile phones are prohibited while driving for all licence holders. Full licence holders can only use a phone while it’s fixed to the car, using Bluetooth or voice activation. You can’t have your phone on your lap or use it while sitting at a drive-through as this is classified as a road. around non-government schools that don’t operate on certain school days. Check out the list of School Zone Offences. 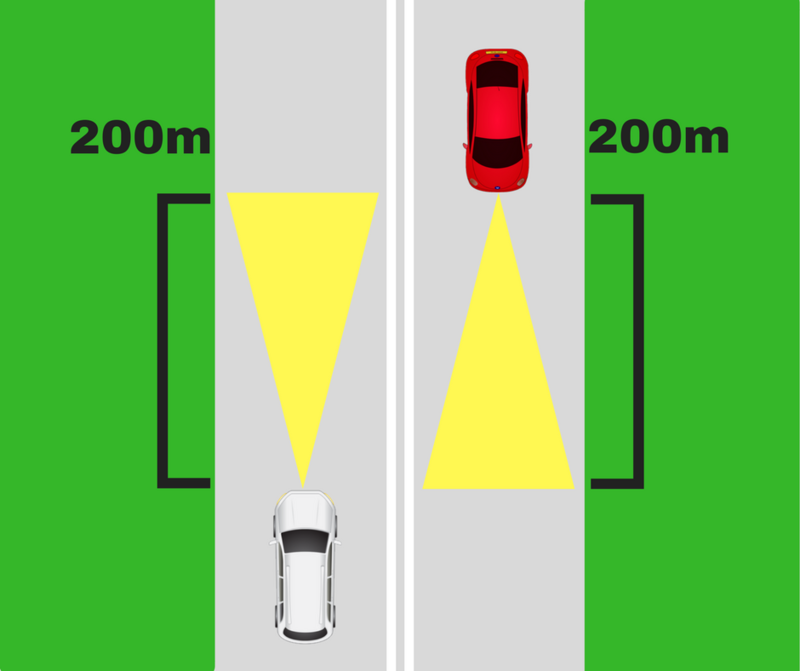 You must give way to any vehicle ahead of you when merging into reduced lanes. So Car B must give way to Car A. You must give way to the lane you are about to enter when you’re crossing broken lines. So Car A must give way to Car B. 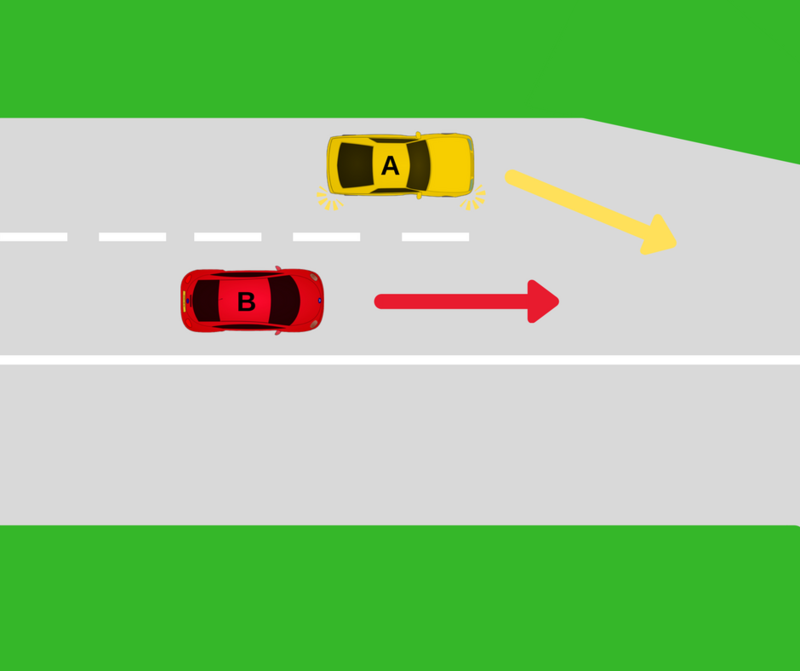 When approaching a yellow traffic light, you should be attempting to stop. The only exception is if it’s unsafe for you to stop.